The thin and light ThinkPad T61 is designed for highly mobile users who work in an office, on the road or anywhere in between.All ThinkPad T Series models feature hardware and software security, made possible by the Trusted Platform Module (TPM) and ThinkVantage Client Security Solution.ThinkPad T61 notebooks feature a new 32-byte password, allowing creation of more lengthy and complex passwords for superior pre-boot protection. Full Disc Encryption hard drives are available to provide highly secure protection that is transparent to the user, seamlessly encrypting all data.With ThinkVantage Technology, ThinkPad T61 notebooks now offer even more ways to manage and reduce total cost of ownership, improve employee productivity, and enhance enterprise IT security. ThinkPad T Series is the perfect balance of performance and portability. Designed for highly mobile users, these notebooks deliver outstanding functionality and long battery life in an easily portable, thin and light design. 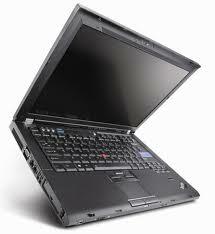 The ThinkPad T61 models are the most secure, strongest, coolest and quietest T Series notebooks ever.